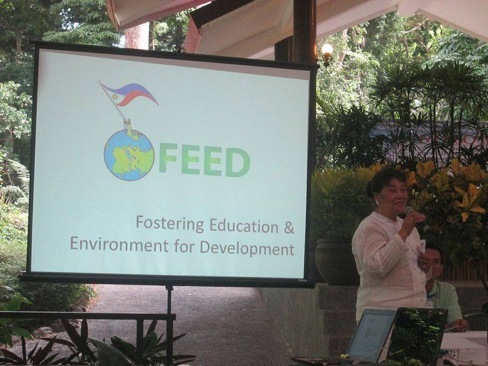 2013 World Environment Day Symposium Held at UP Los Baños | FEED, Inc.
6 June 2013, UP Los Baños. “Think, Eat, Save.” was the call to action for this year’s World Environment Day, an annual event aimed at raising positive environmental awareness and action every June 5. As people all over the world were celebrating ways to reduce food waste, a group of ecowarriors gathered in Los Baños, Laguna to do their part. 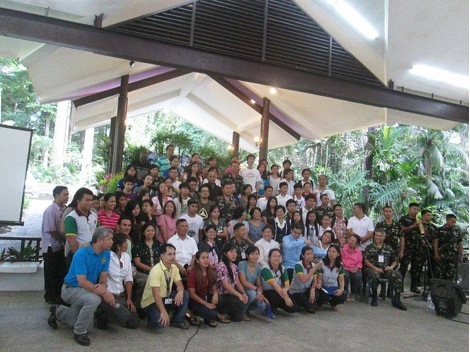 The environmental symposium “Healthy Ecosystems for Over-all Human Well Being” was attended by 100 faculty, staff and students at the Makiling Botanical Garden inside the University of the Philippines, Los Baños (UPLB), along with the Philippine Army’s “Jungle Fighters” from the 1st Infantry Division, 2nd Infantry Battalion, and Fostering Education & Environment for Development (FEED). UPLB Chancellor Rex Victor O. Cruz opened the activity by lauding the participants of their “unifying efforts for conserving the environment”. The topic of “Healthy Ecosystems” was discussed extensively by keynote speaker Dr. Portia Lapitan, Director of the Department of Natural Resources (DENR)’s Ecosystems Research and Development Bureau (EDRB). The “restoration of the environment is always and often directly related to the alleviation of poverty” especially in the Philippines since we are a resource-based country. “Threats to the environment and natural resources, coupled with poor management, have serious implications for both poverty reduction and sustainable economic development” (Source: OECD 2008). She concluded by vowing that “ERDB would tackle the attributes of a healthy ecosystem and come up with a list so that people will be guided as to how to identify one”. 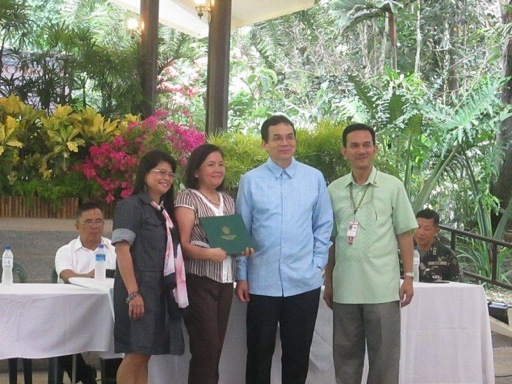 The Philippine Army’s Major General Alfredo Peralta, leader of the 1st Infantry Division, 2nd Battalion, introduced the role of the Army in environmental protection. Civil Military officer Lt. Col. Rodolfo Gesim explain that while the Army is typically known for maintaining peace and order, they are in fact also accountable to the environment (in partnership with the DENR and the National Greening Program or NGP). He pointed out that each soldier is mandated to plant at least ten seedlings of trees per year in order to reach the 50 million tree target by set for the Army to accomplish by 2016! 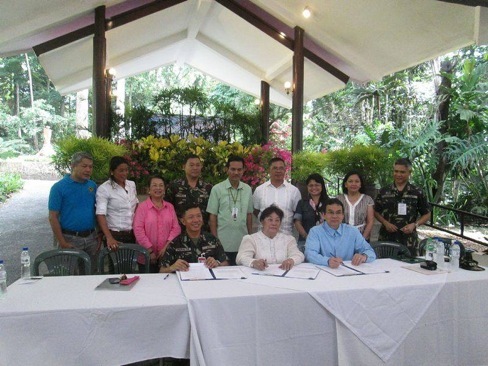 The highlight of that afternoon was the signing of a Memorandum of Understanding between UPLB, FEED and the Philippine Army – in pursuit of the “LIVING LEGACY: Plant a Tree, FEED Our Future” program, which fosters the “re-greening” missions of each organization, encouraging more active involvement from the private sector and encouraging more public involvement or “jungle warriors” needed to restore thousands of hectares devastated by deforestation throughout the country. 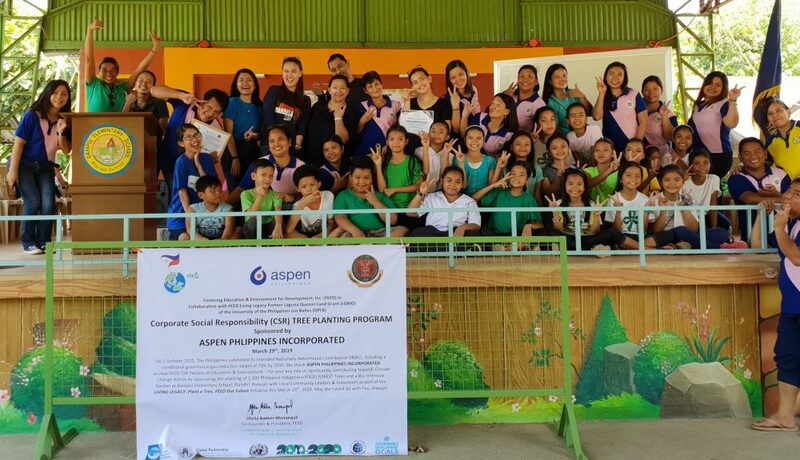 The group continues to plant trees in northern Quezon province, in collaboration with various businesses interested in offsetting their carbon footprints, or simply being a part of these efforts to encourage their Corporate Social Responsibility (CSR) efforts. 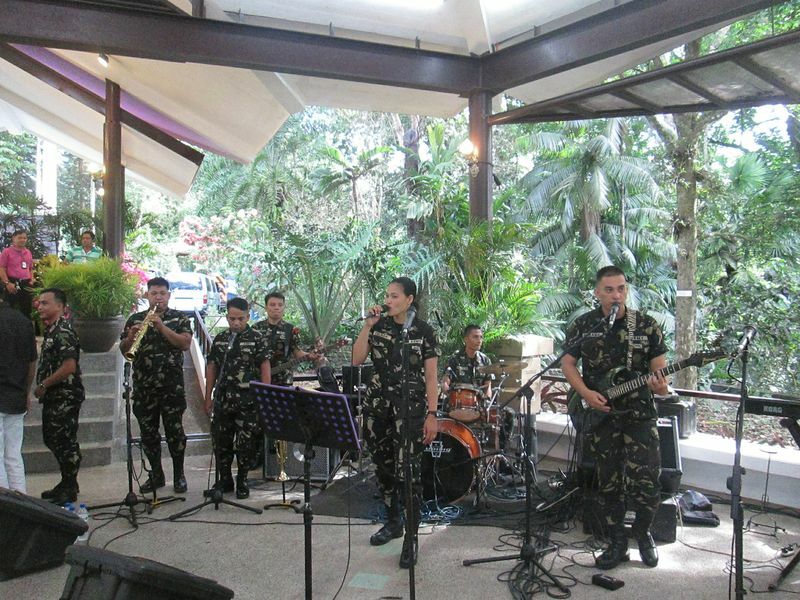 The 2nd Infantry Battalion’s “Jungle Fighters” Combo Band provided lively intermission music throughout, with an impressive rock repertoire of songs to the delight of the symposium participants. The event would not have been possible without the efforts of the UPLB School of Environmental Science & Management, the Office of the Vice Chancellor for Community Affairs, the College of Forestry & Natural Resources and the UPLB’s Chancellor’s Office; the Philippine Army 1st Infantry Battalion, 2nd Infantry Division and FEED. For more information, visit https://feed.org.ph/ or email info@feed.org.ph.